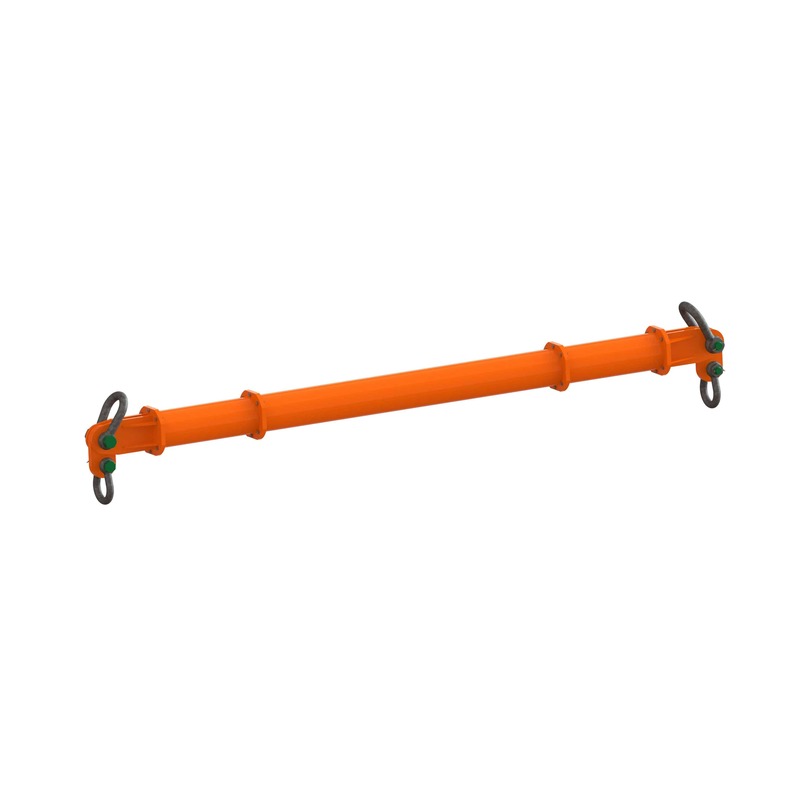 The Britlift Traditional Modular Spreader beam is available in a huge range of standard sizes (4 tonne to 1000 tonne) and has been optimised to make it the lightest system of its kind worldwide. IN STOCK and available off-the-shelf the sizes immediately available are 4, 8, 13, 24, 34, 50 and 70 tonne systems, with prices starting at £450. We can also supply any associated rigging (chain slings, ploy slings, shackles, chain blocks, container lugs, load monitoring, etc.). The Britlift modular system is easy to handle, transport, store, stock and spec. We are able to manufacture bespoke custom sizes within 1-2 weeks. To view some different ways you can use spreader beams to achieve 2, 4, 6 or 8 points of lift then visit our Rigging Design page. Lightest modular spreader system on the market. Innovative link plate retention system to keep shackle holes aligned. Easy to transport – the modular components break down into 0.25m, 0.5m, 0.75m, 1m, 1.5m, 2m and 4m component lengths as standard. Versatility – due to the modular nature of the system it can be reconfigured and re-assembled to suit multiple lifts and requirements. Customer Service – unrivalled customer service and response times. Custom – ability to manufacture custom components within 1-2 weeks. The Britlift Traditional Modular Spreader is also our first choice for medium and heavy duty lifts, up to 40m in span and 1000t in capacity. Ordered on Tuesday was supplied Wednesday. Good product.